Miss Joey English brings her considerable talents to the Desert after years of performing in nightclubs, theaters and on television across the United States, Canada, Mexico and Asia. Highlights of her career include 27 years of singing as an opening act for such stars as George Burns, Bob Hope, Milton Berle and Rodney Dangerfield. Her impressive songbook includes a collection written for her by legendary lyricist Sammy Cahn who called this church going lady a “singer’s singer”. Joey has appeared numerous times on such classic programs as “The Dinah Shore Show”, “The Merv Griffin Show”, and “The Mke Douglas Show”. Miss English has had a summer replacement television show for the Smothers Brothers. She has sung the National Anthem at many national sporting events. Joey commentates the Veteran’s Day Parade in Palm Springs in front of Alibi Azul. A published writer, a sought-after speaker and the emcee of most of the premier events in the Coachella Valley, the “Voice of the Desert”, who can “do it all” is in her 22nd year of producing her own television and radio programs, (airing all morning every Saturday on KGX 99.1 FM and 920 AM Radio. 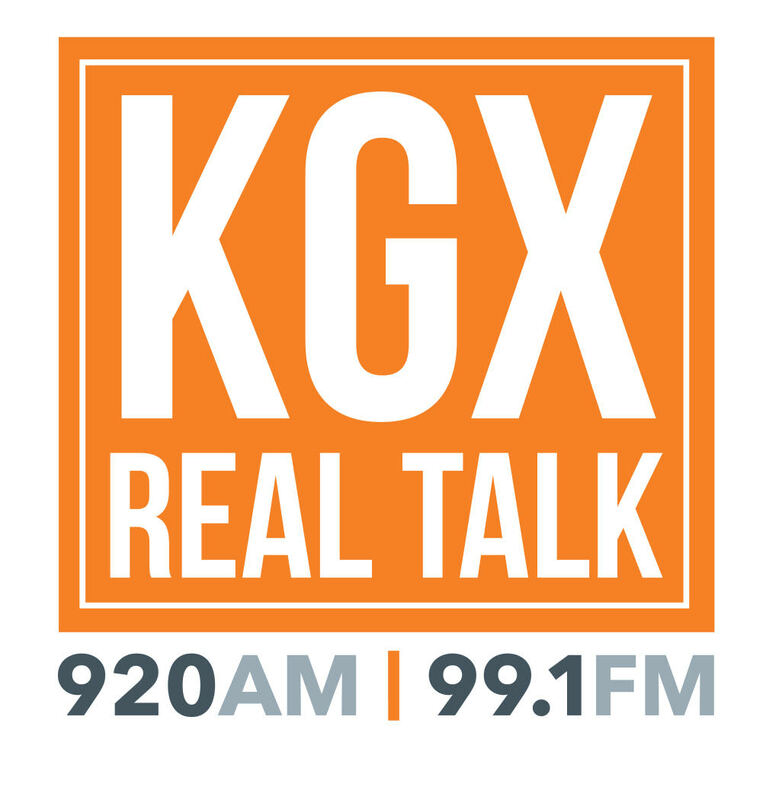 The show streams on the Internet, where there is a mobile app at www.920KGX.com). The shows can also be heard all over the world all week long at www.joeyenglish.com. As well as starring in “Senior Class” at the Annenberg Theater in 2007 and 2008 and the road company in 2009, Joey has a background that includes starring in most of the classic musical comedies, most recently “Best Little Whorehouse in Texas”, “Sordid Lives”, “Steel Magnolias”, and “Nite Club Confidential”. 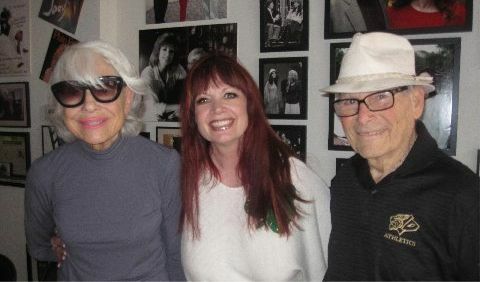 In March, 2013 Miss English fulfilled a lifelong ambition of starring as Norma Desmond in “Sunset Blvd.” Her starring role in 2015 was the Tony Award winning “The Little Dog Laughed” at the Desert Rose Playhouse. 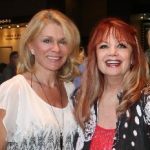 2016 will see Joey backin the role of Bitsy Mae in Del Shores’ “Sordid Lives” for two runs at the Palm Canyon Theatre. In 2017 she starred in Del Shores’ sold-out run of “Southern Baptist Sissies” at the Desert Rose Playhouse. Joey plans to possibly return to directing theater as well. She opened the jazz concert series with a “sold out” performance at “Vicky’s of Sante Fe” on Oct., 7, 2012 and did so again in Oct., 2013. Joey was the celebrity Grand Marshall for the Gay Pride Parade Nov., 4, 2012. She performs an annual Christmas Concert for D.O.H.C. accompanied by the P.S.H.S. Jazz Band. A mother of three, a “G.J.” (“Grandma Joey”) of four and a confirmed “chocoholic”, this triple Scorpio lives the majority of the year in the Mesa Area of Palm Springs and longs for the summers on Flathead Lake in Montana.